I’m so excited to share with you the release of ROAM! 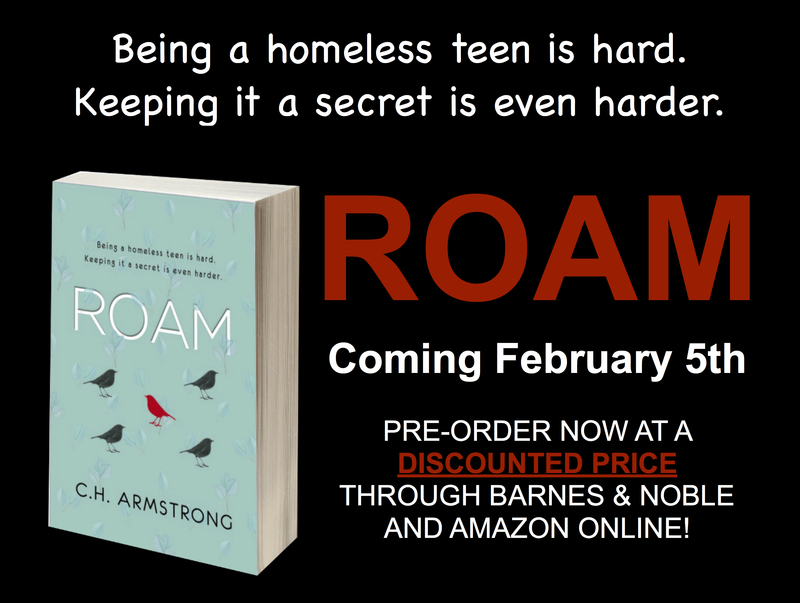 Set in Rochester, Minnesota, ROAM is the story of 17 year old Abby Lunde, whose family moves to town after a series of unexpected events leave her parents unemployed and homeless. Now living in the family’s van in the Walmart parking lot, Abby is desperate to keep her embarrassing secret from her new friends. But the nights are getting colder and, as Abby knows well, Minnesota winters aren’t the only thing unforgiving—so are many teens. As secrets are exposed and the hope for a home fades, Abby knows she must trust those around her to help. But will her new friends let her down like the ones back home, or will they rise to the challenge to help the family find a normal life? Can’t Make it Tonight? No Worries! Come to Another Reading or Signing this Month! Don’t Forget: If you Purchase Your Copy by February 12th, You Can Win! Click Image Below for Details!